Old-fashioned charm meets new-fashioned style with this sweet and stylish Handmade Dog Bow Grooming Bow Set. Polka dots, alone or accented with stripes, take on a playful look in striking combinations. These ribbon bows have a rubber band back and feature decorative accents such as glitter, lace, crystals and floral appliques. 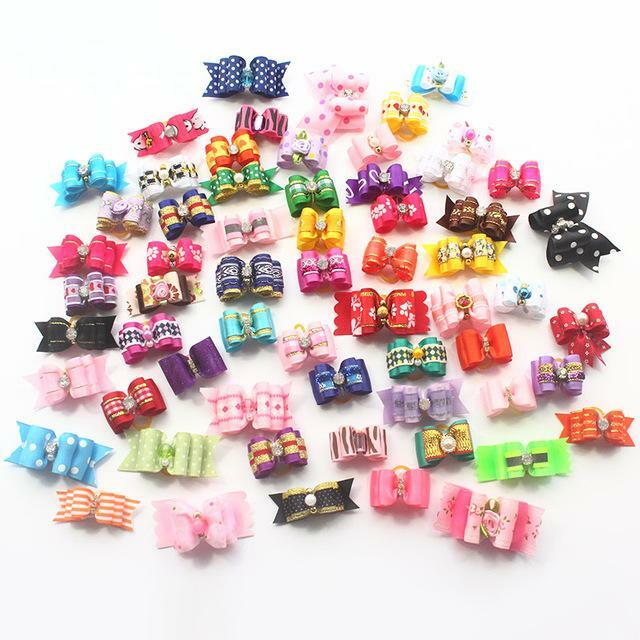 Each set includes ten assorted bows in your choice of color. 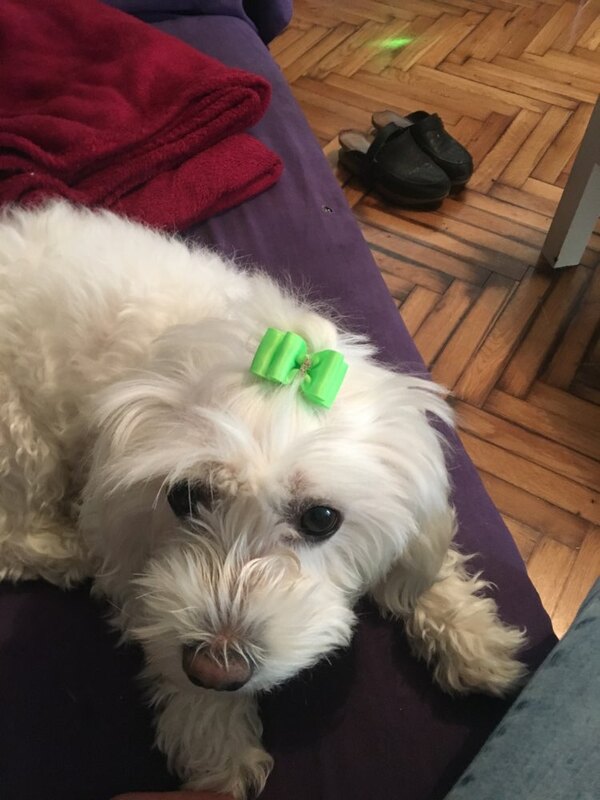 If your dog needs the finishing touch for her lovely locks, our Handmade Dog Bow Grooming Bow Sets are the perfect accessory. 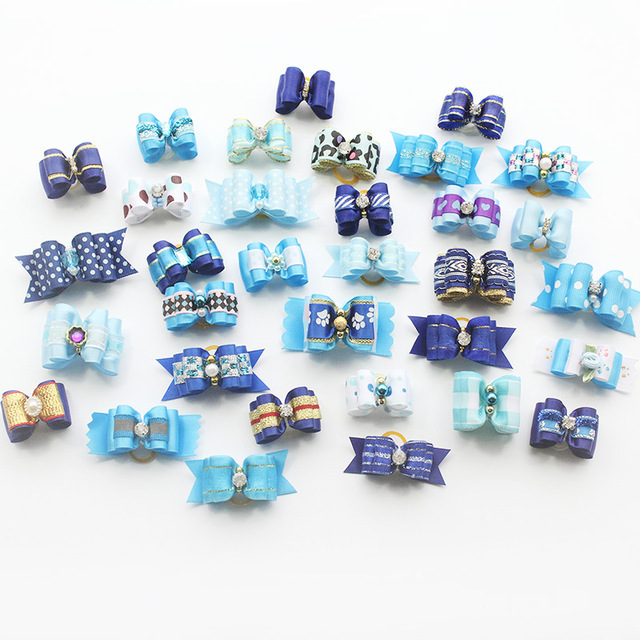 Each set includes ten bows of the styles shown. 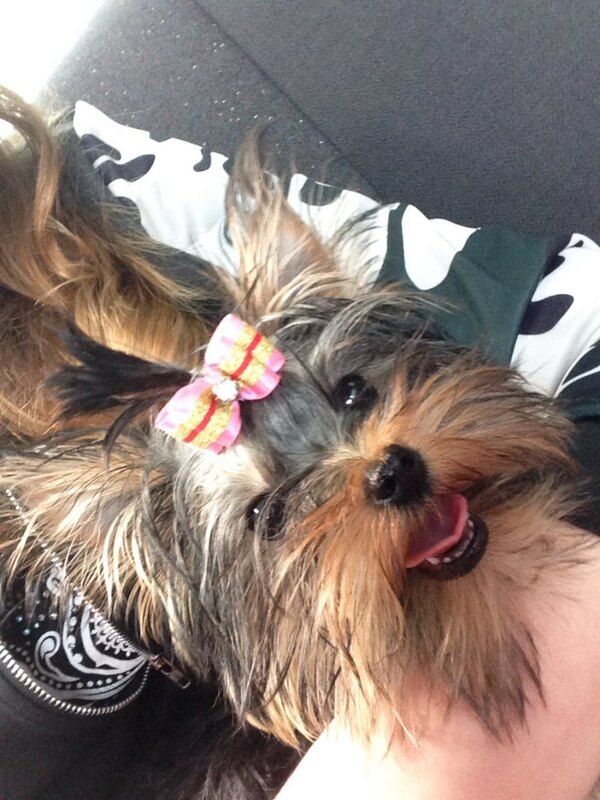 These little dog bows feature an elastic band attachment for gentle yet durable staying power. To apply, simply select a small section of dog fur and twist the elastic around the portion a few times until tight. 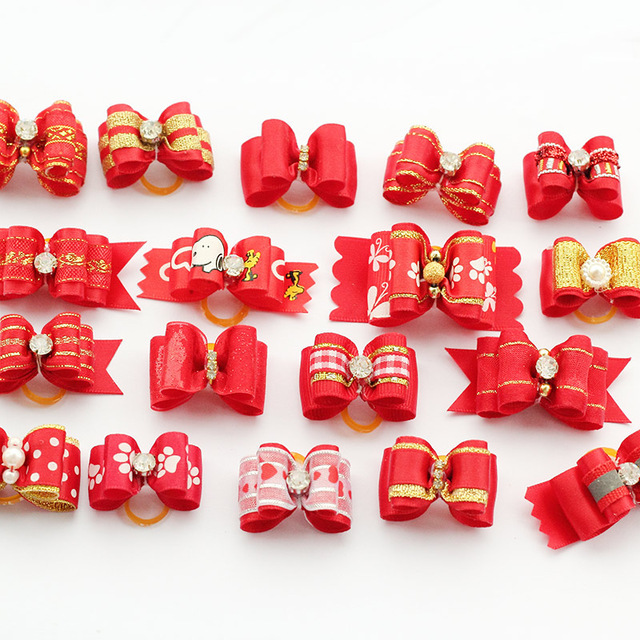 These are a nice size for toy and teacup dog breeds and could be worn one over each ear (like pigtails) or a single one could be used on a topknot. 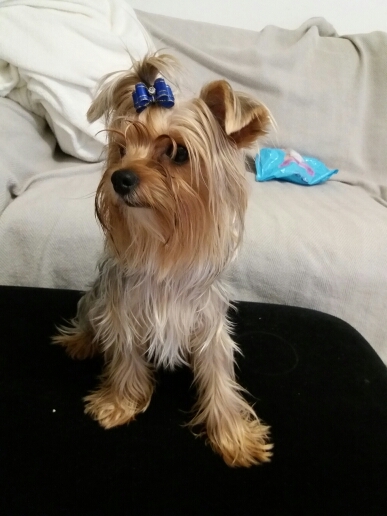 Alternately, the bows could be looped onto your dog's collar for a festive embellishment. Caution: Never place rubber bands around your dog's tail or ears or they will become damaged from lack of circulation! Enhance your dog's beauty. 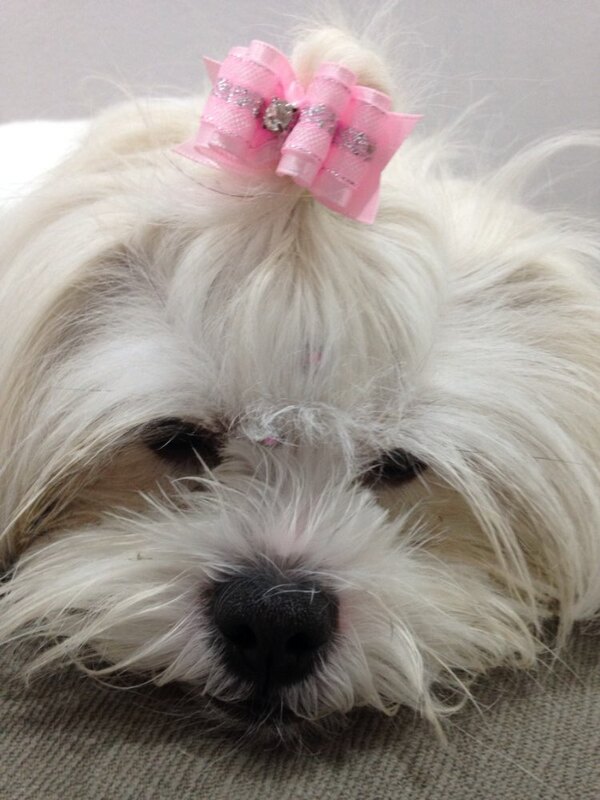 These beautiful dog bows are great for high-end dog groomers or for having that "fresh from the salon" look at home. Perfect for pairing with Easter dog dresses, for wearing on Valentine's Day, or for accessorizing any outfit. Easily stretchable. Perfect for creating top-knots and custom styles with less hand and finger strain or fatigue. Exerts consistent force without excessive hair breakage. Designed to exert even more force without breaking hair, so it's ideal for all types of grooming jobs. Versatile. 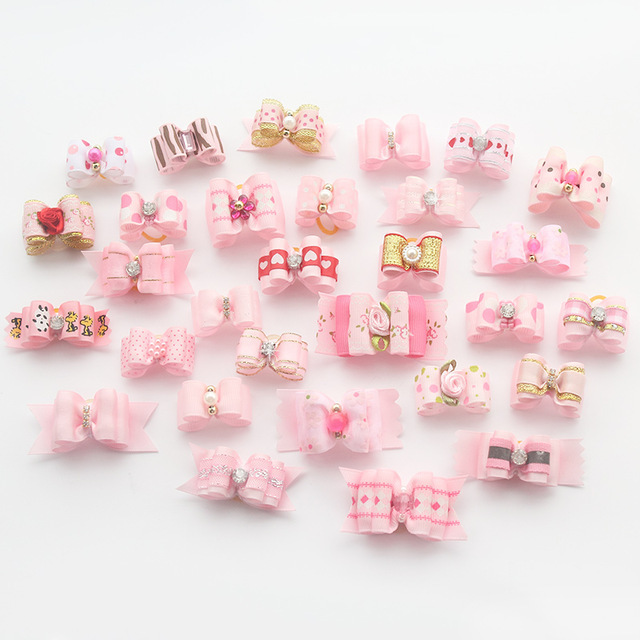 Bands can be used multiple times and set includes ten bows so you can always have them handy when you need them. Keep multiple packs on hand to be sure you have several of your favorite styles!